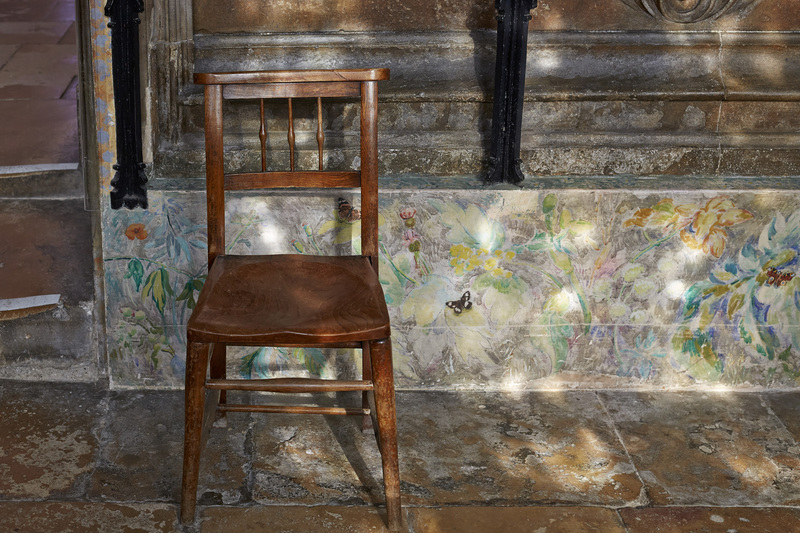 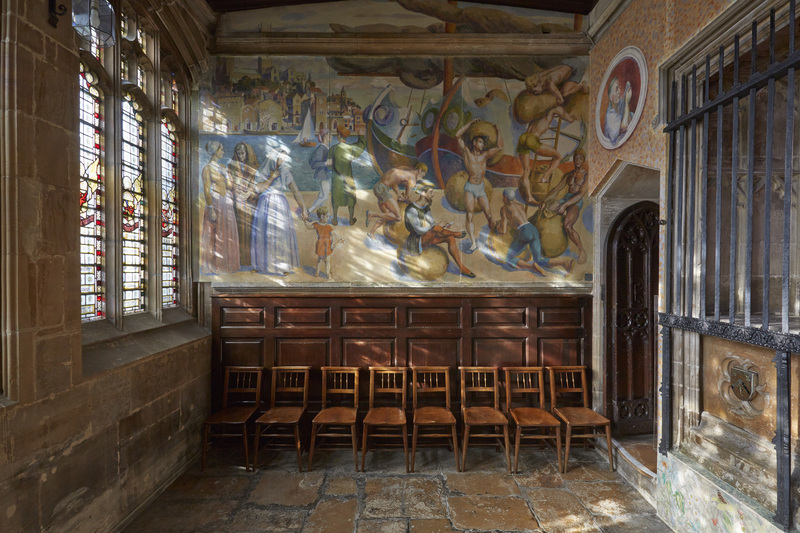 In 1953 Duncan Grant was commissioned to decorate Lincoln Cathedral’s Russell Chantry with a set of murals depicting St Blaise, the patron saint of wool workers. 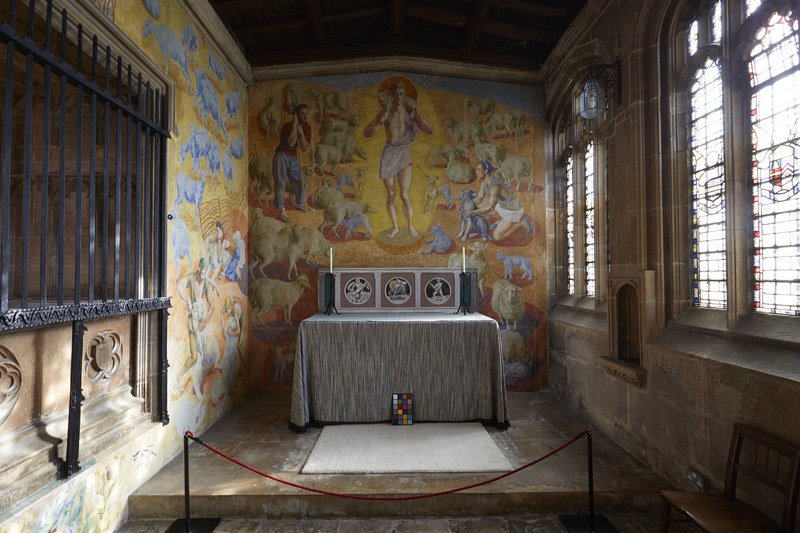 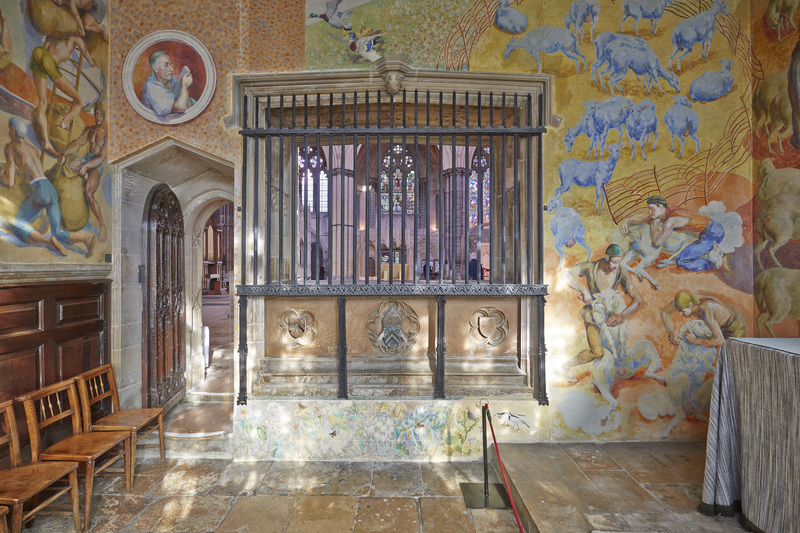 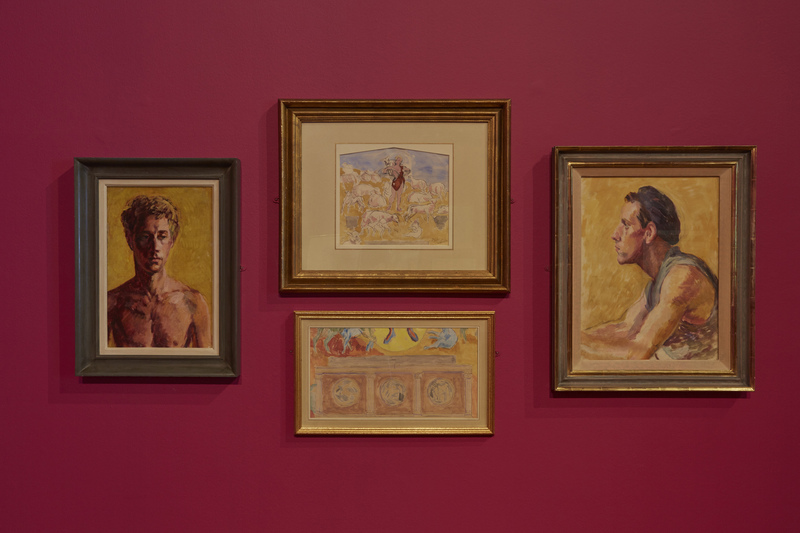 The mural unveiled in 1959 remained private for a number of years, possibly because Duncan Grant chose to put a little too much of his own life onto the walls, being reopened for public view after restoration in 1990. 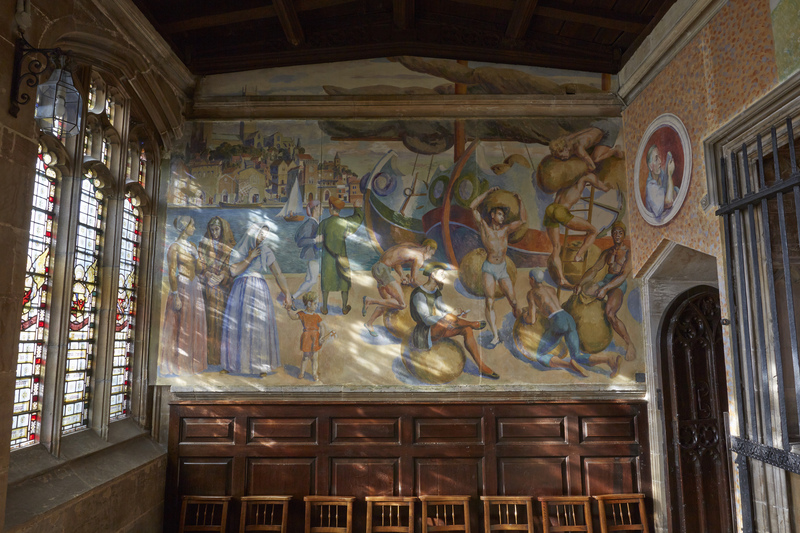 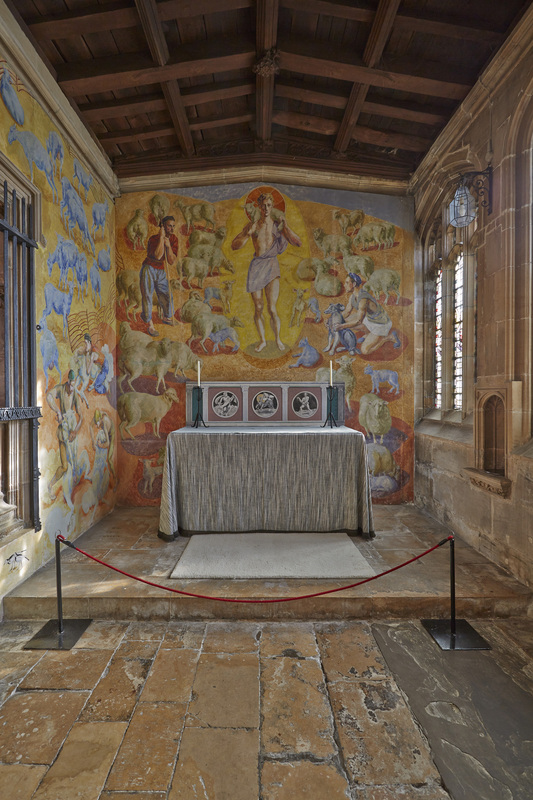 The murals were painted at a time in British art history when mural painting was far more likely to occur on secular or municipal buildings and it is partly this that makes Grant's chapel murals a rarity. 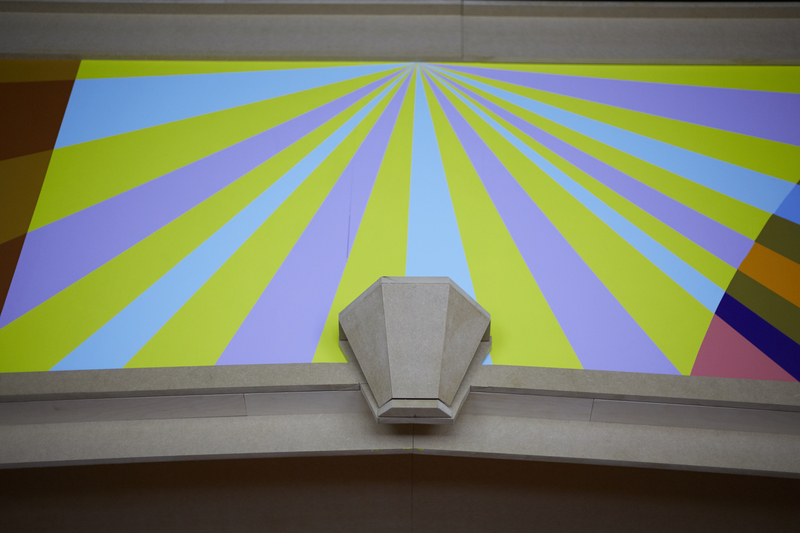 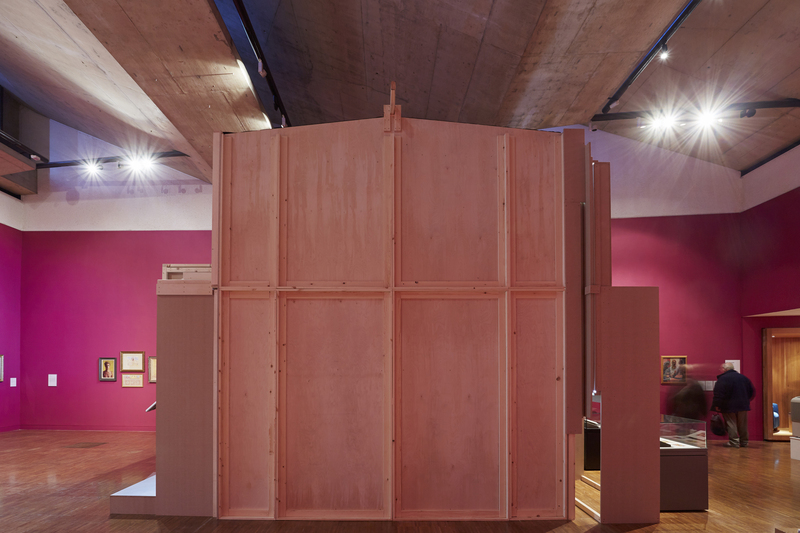 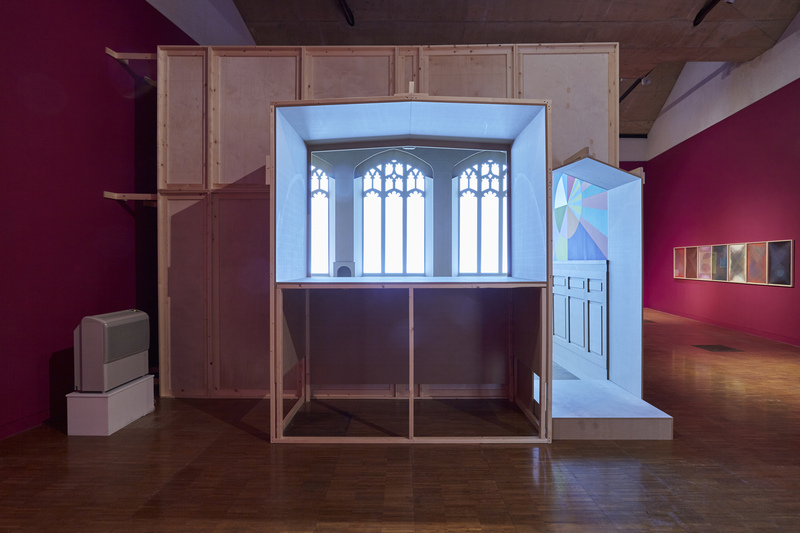 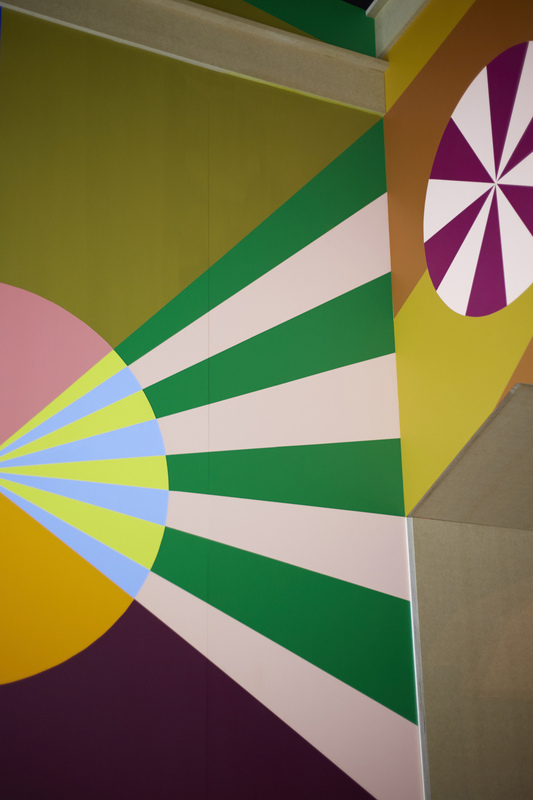 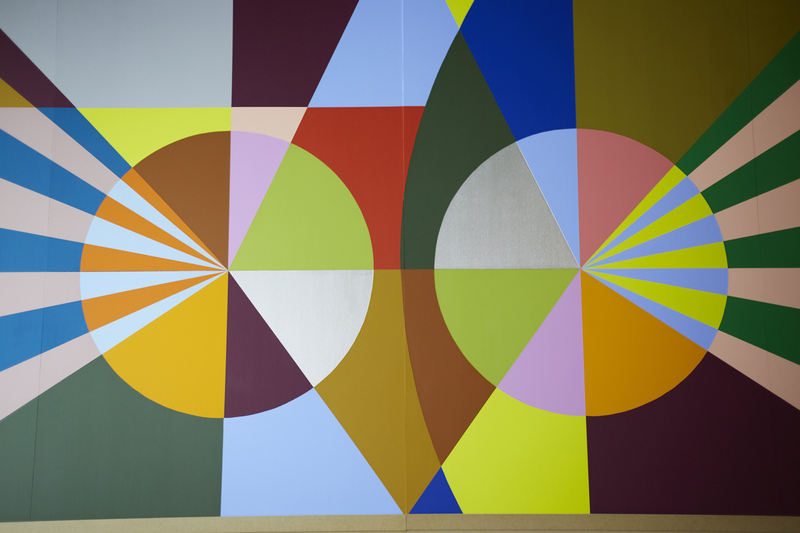 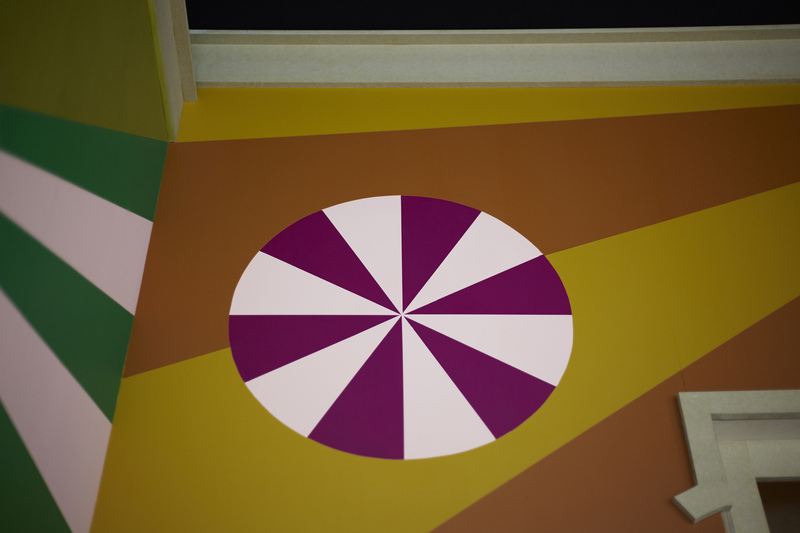 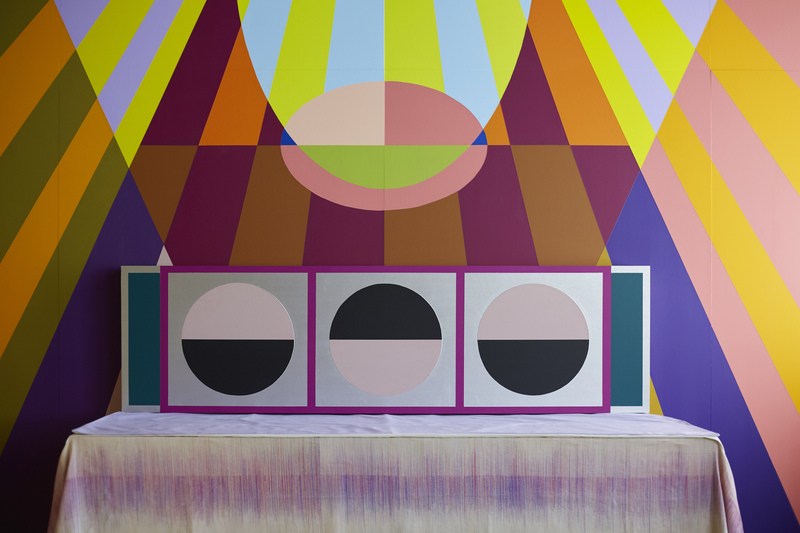 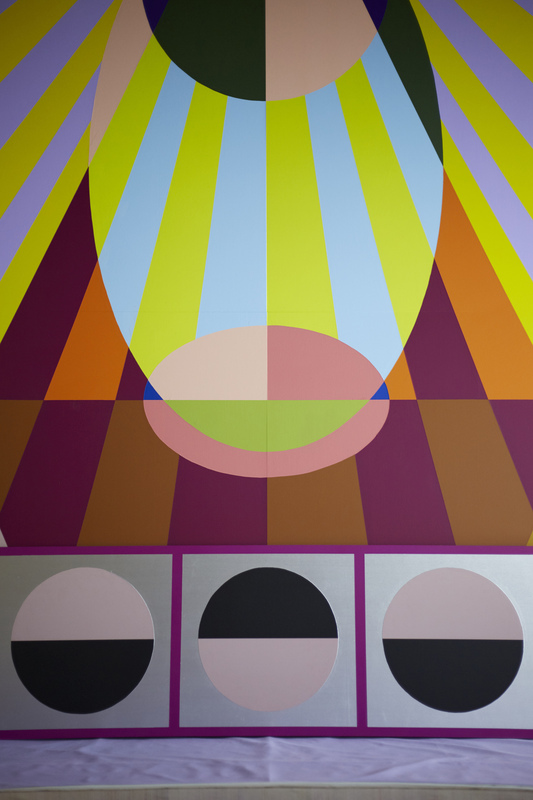 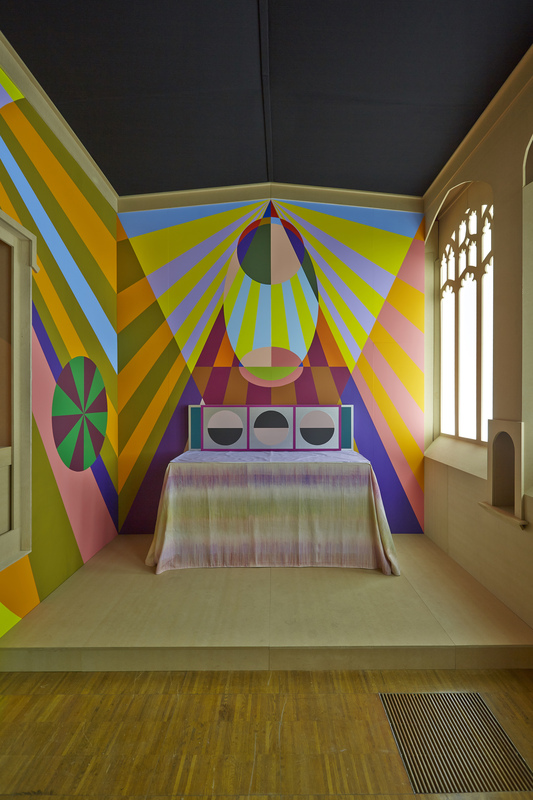 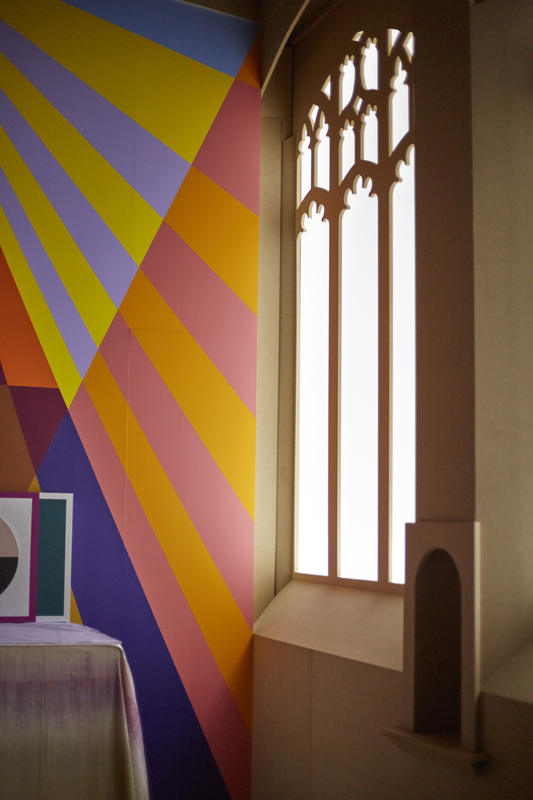 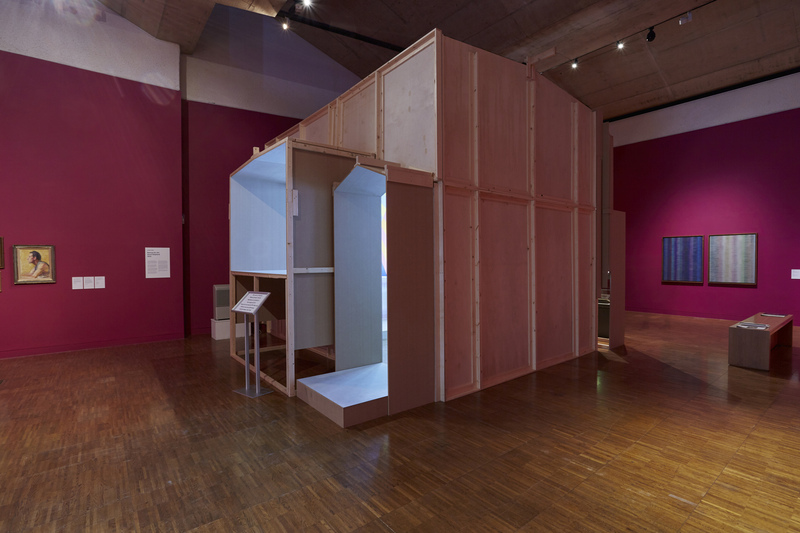 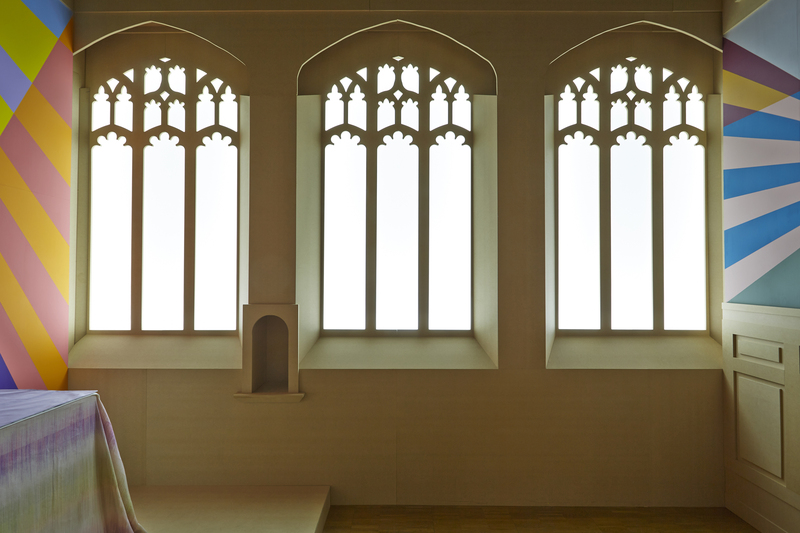 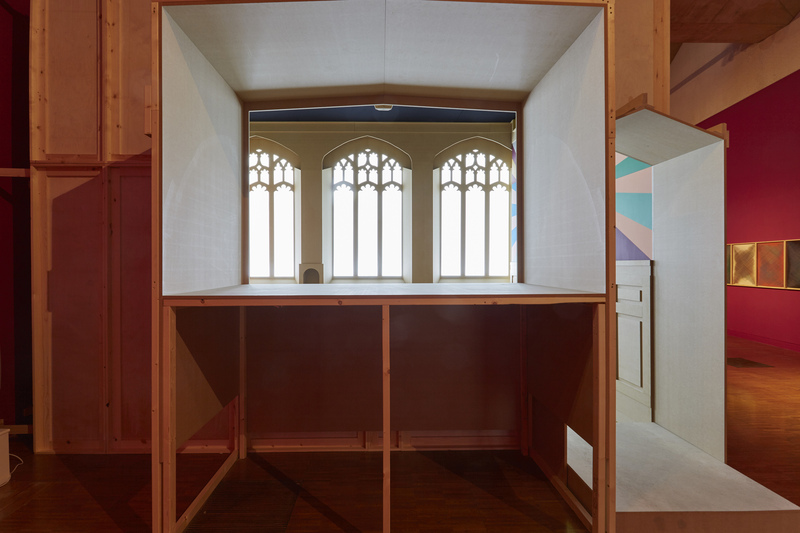 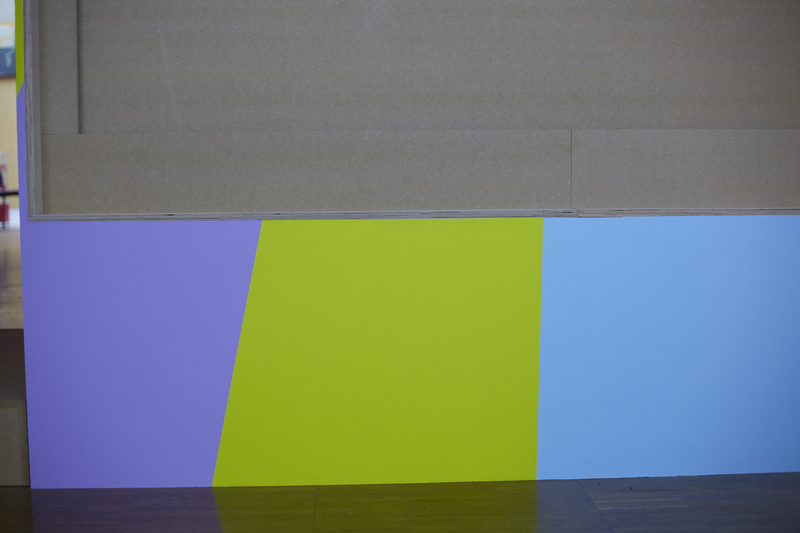 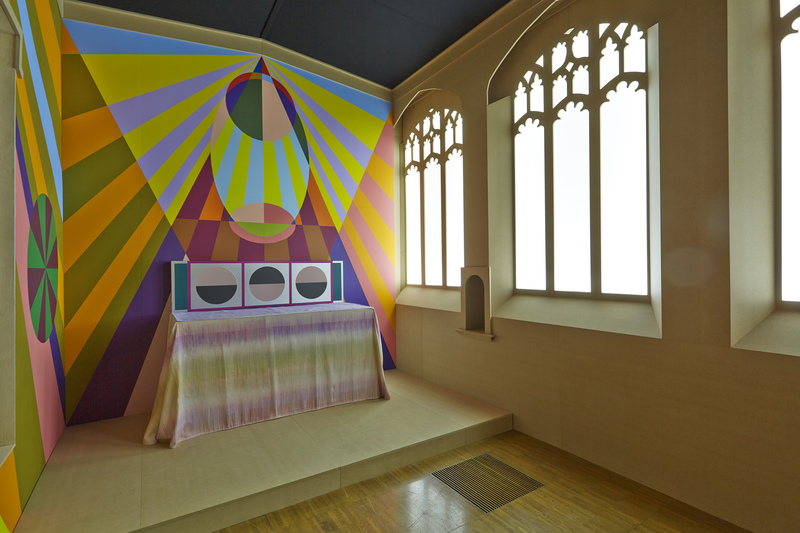 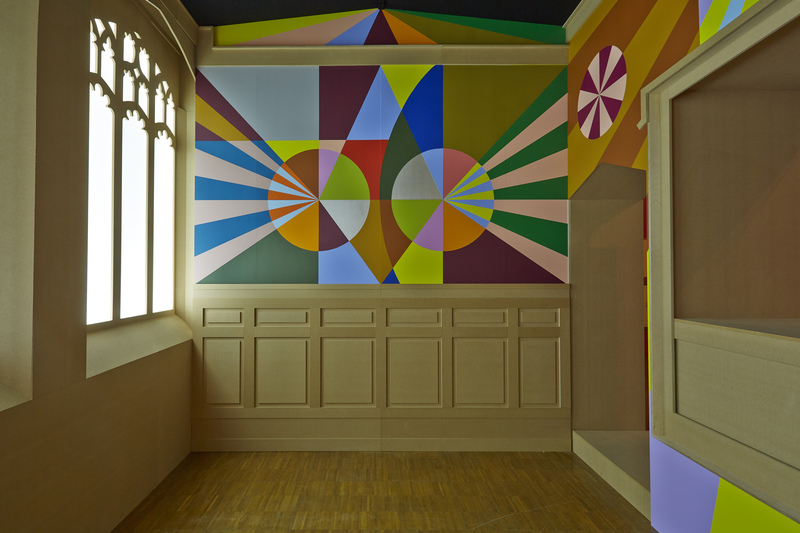 The Collection invited Lothar Götz to produce a new mural inside a 1:1 scale reproduction of this chapel. 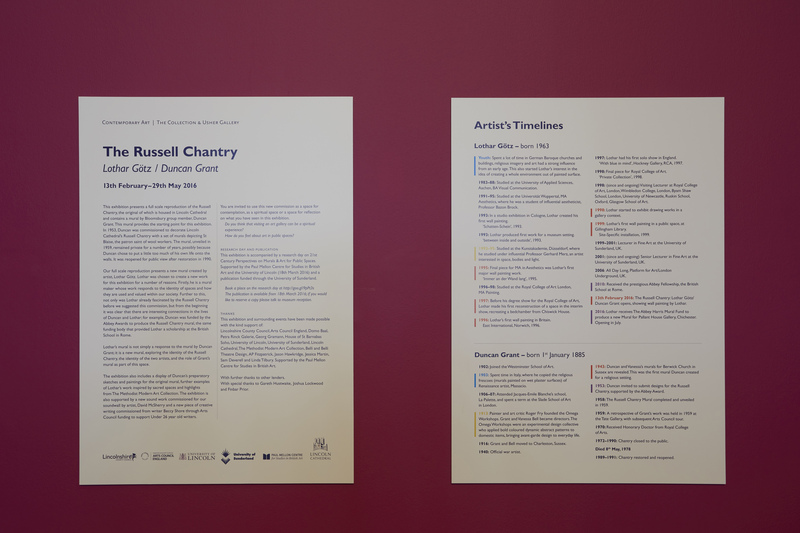 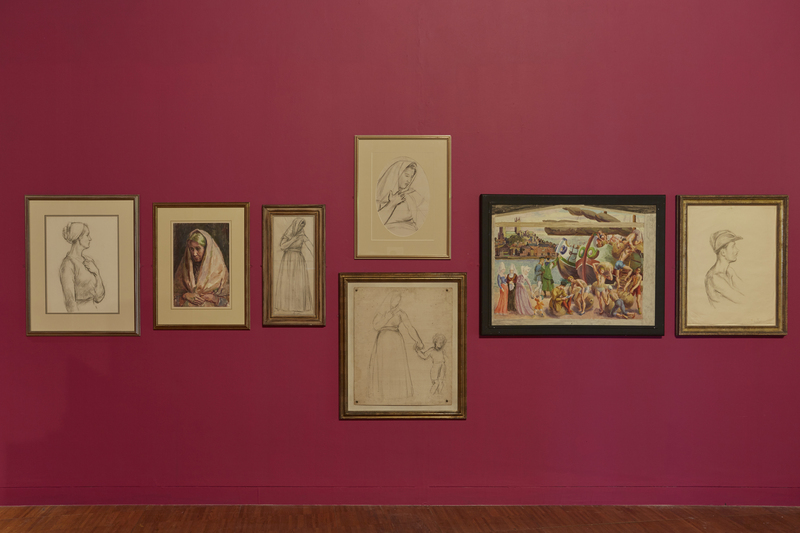 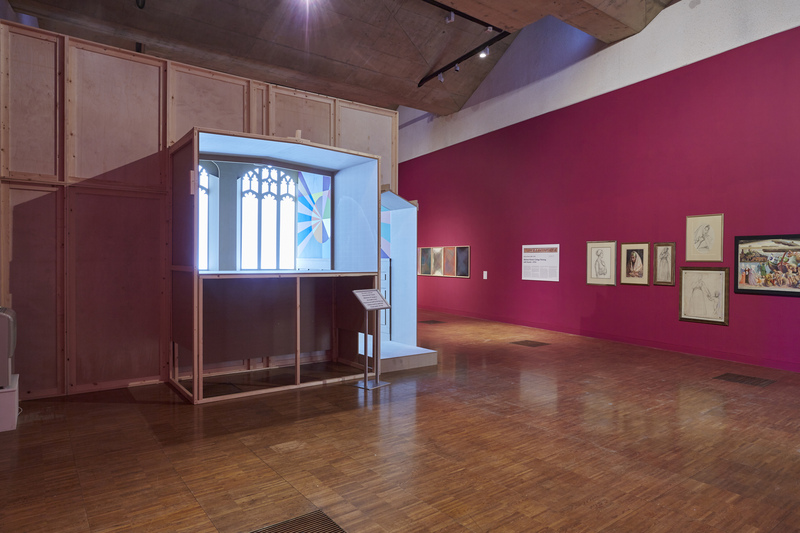 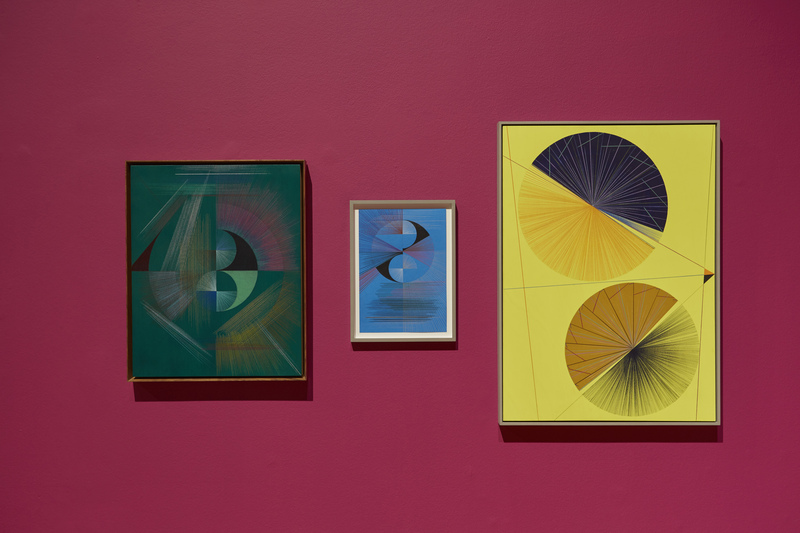 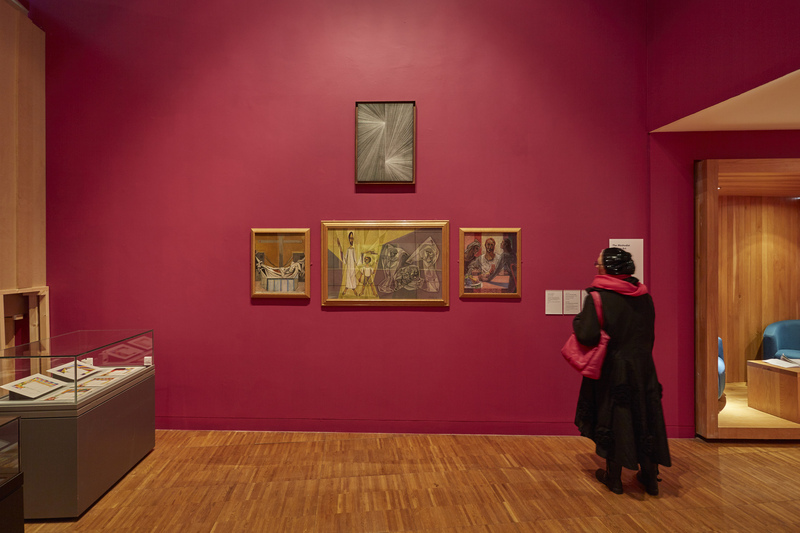 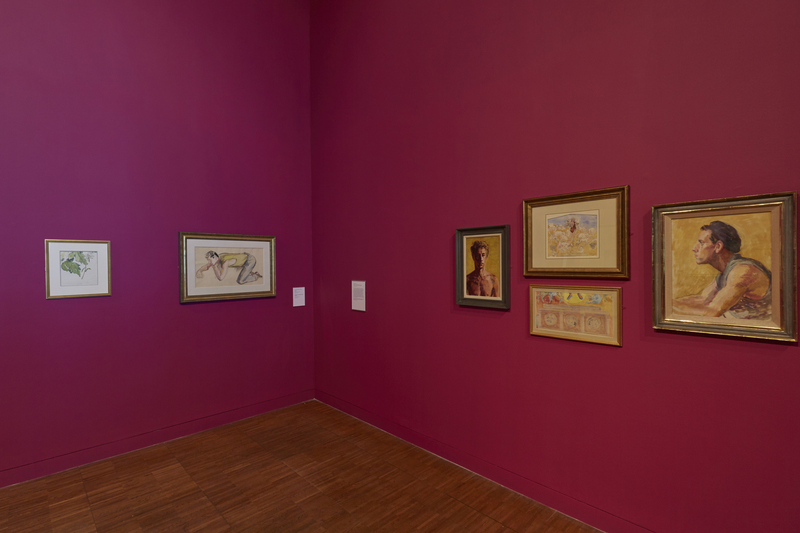 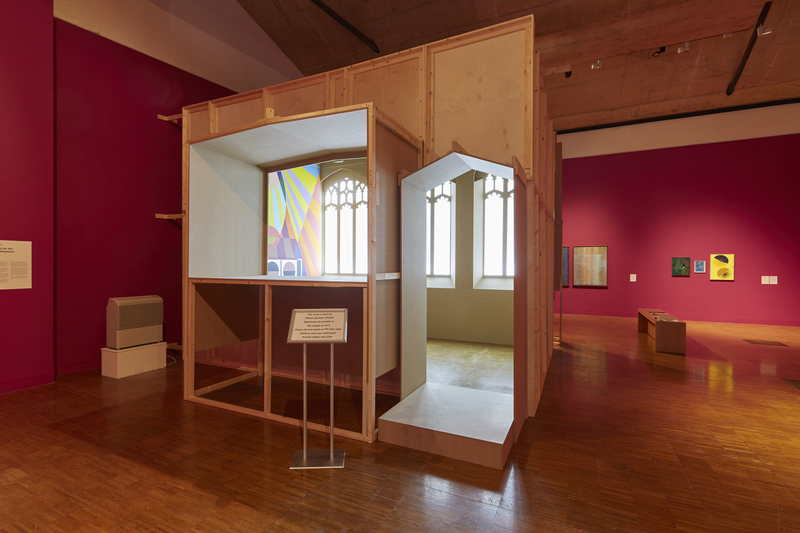 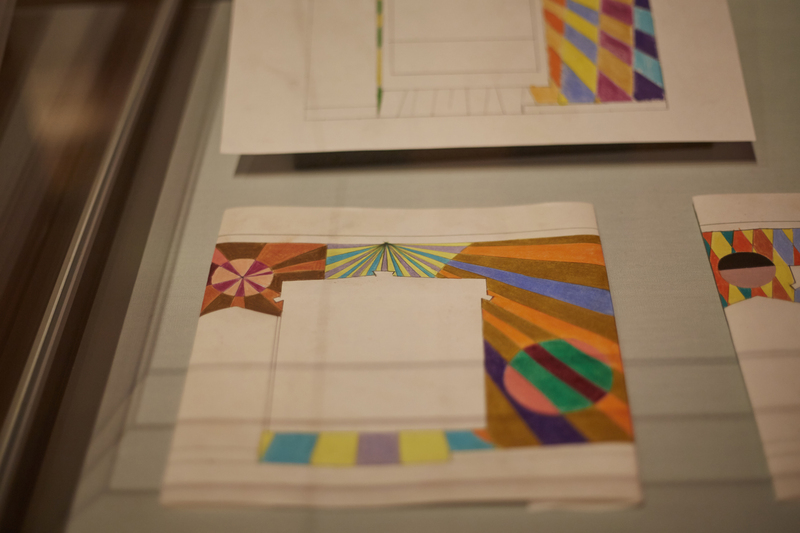 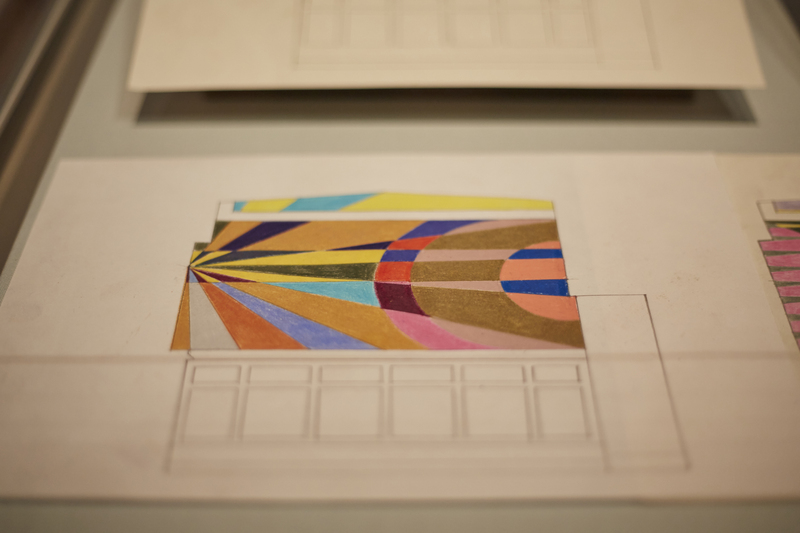 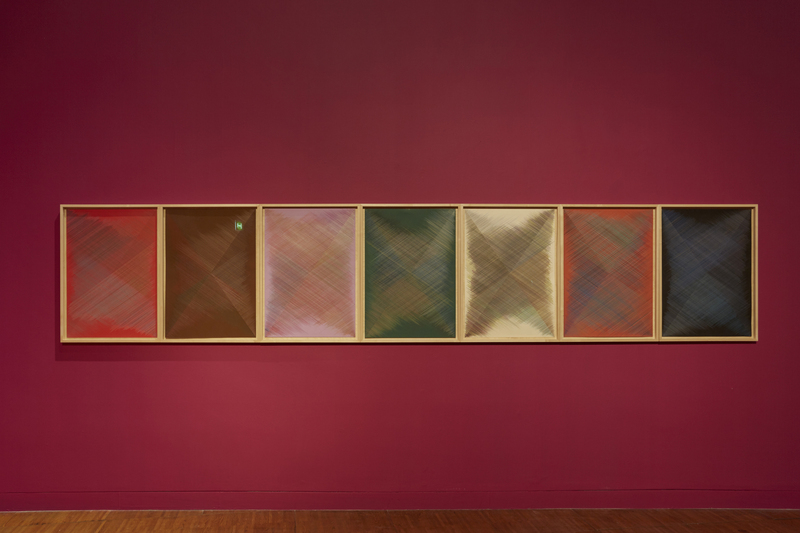 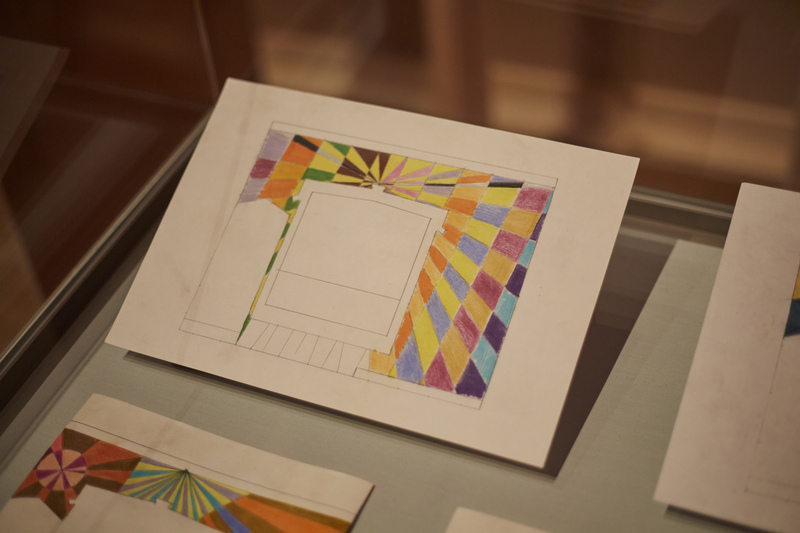 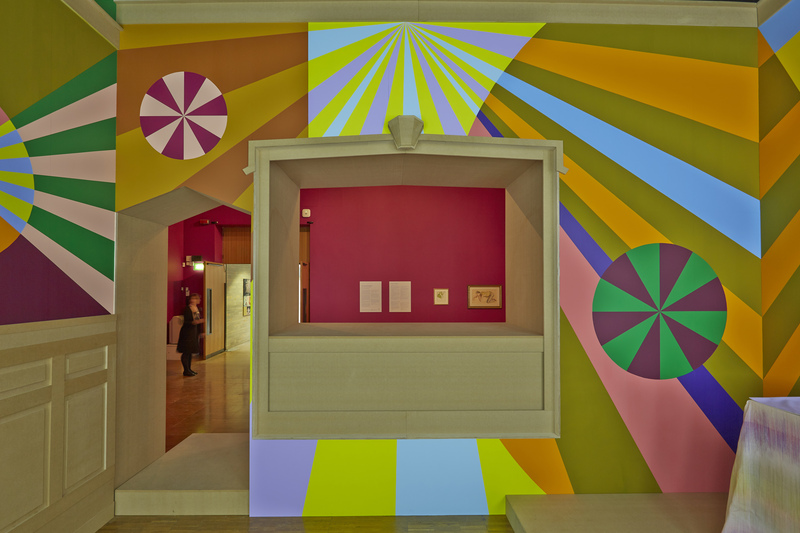 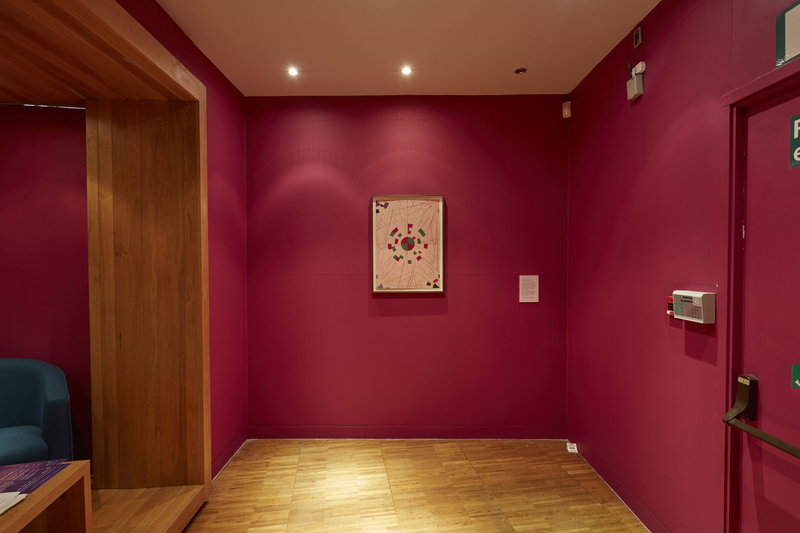 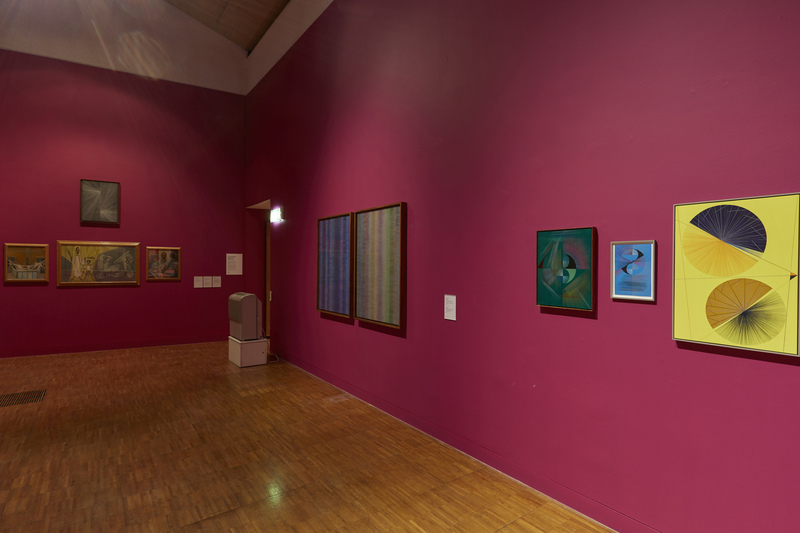 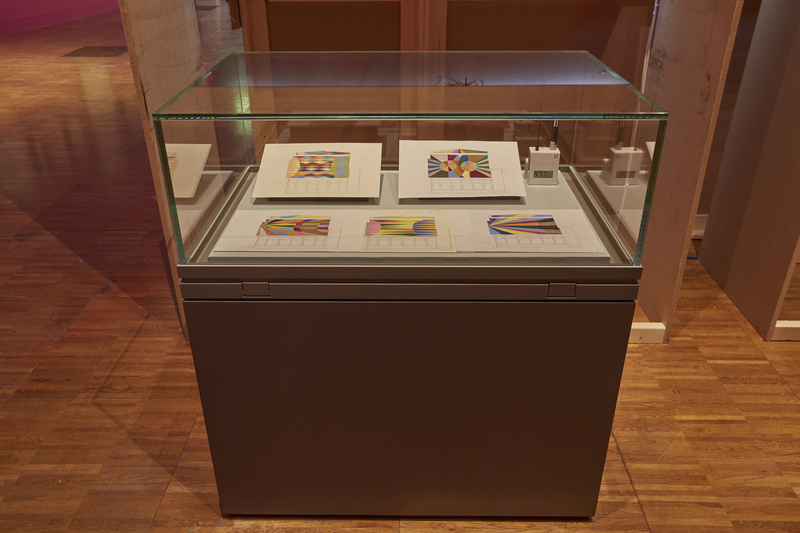 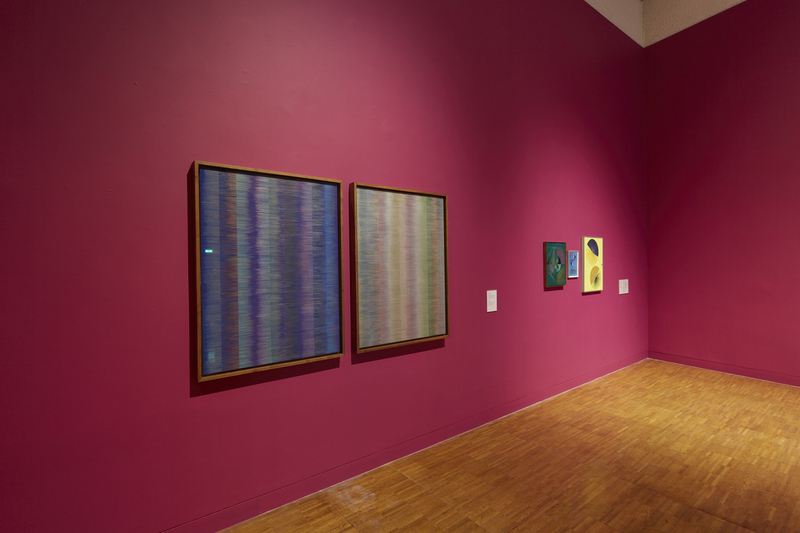 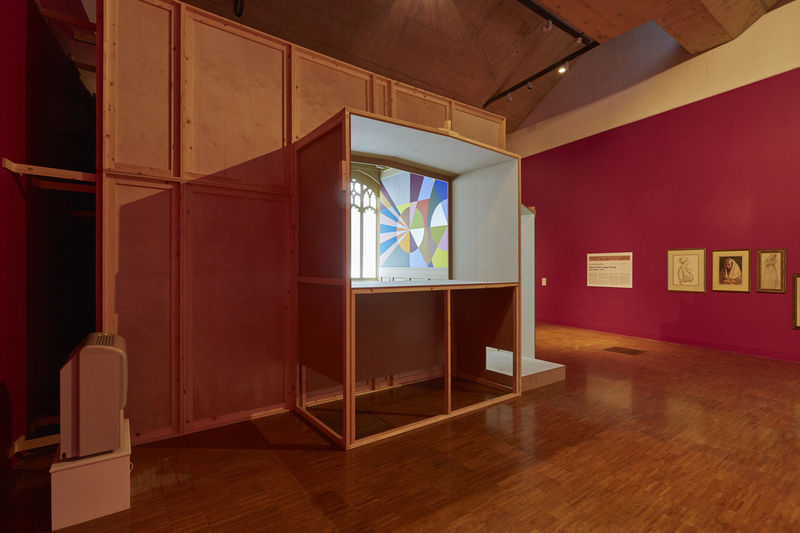 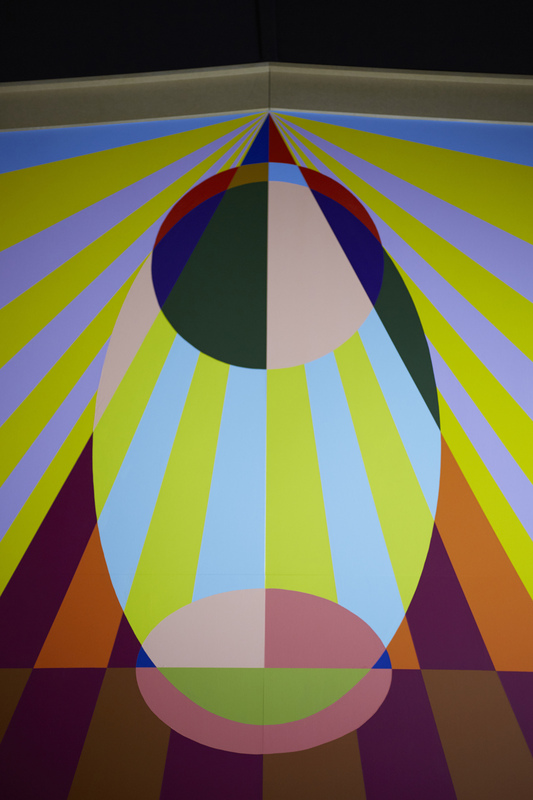 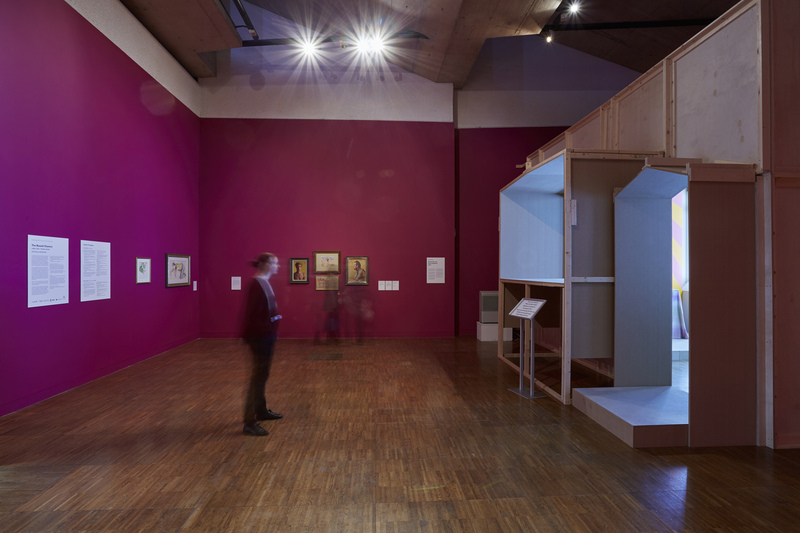 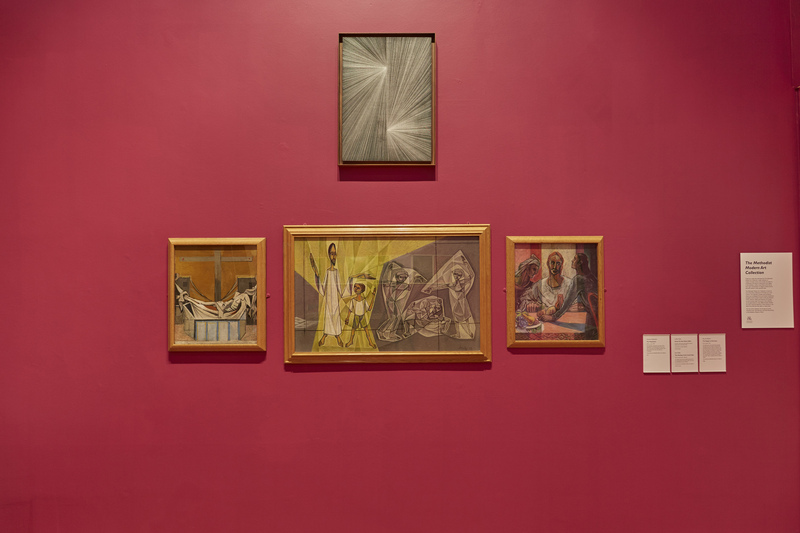 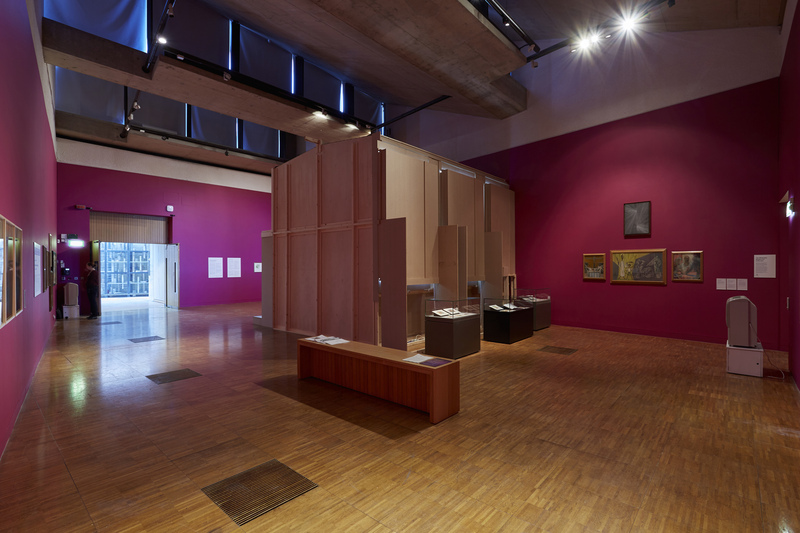 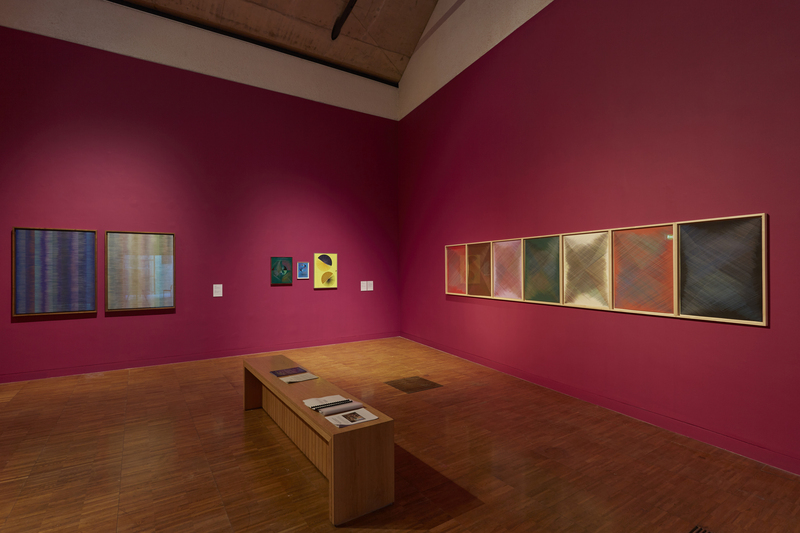 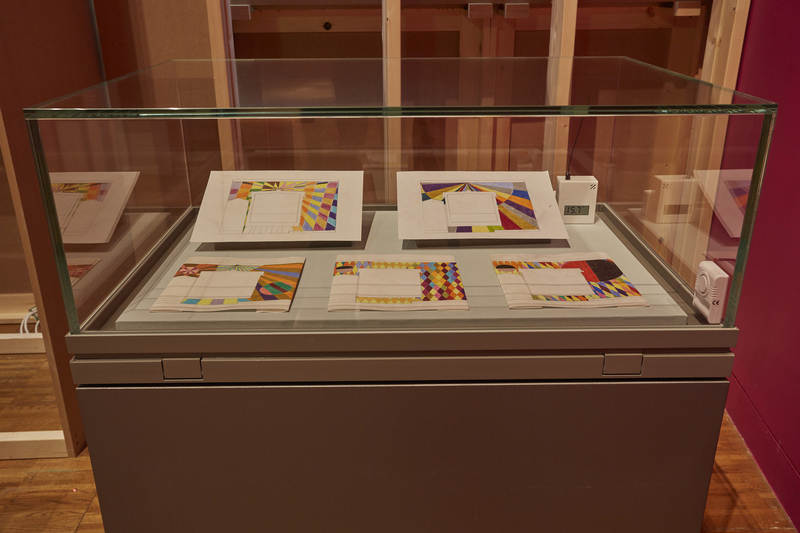 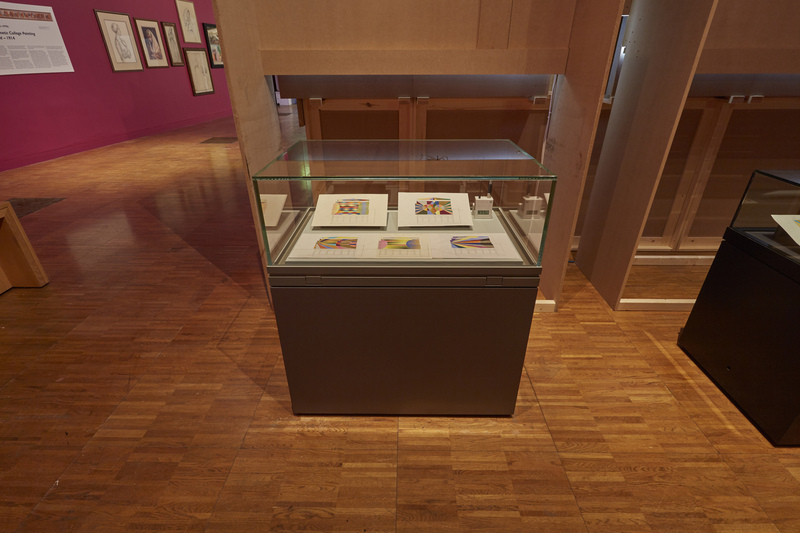 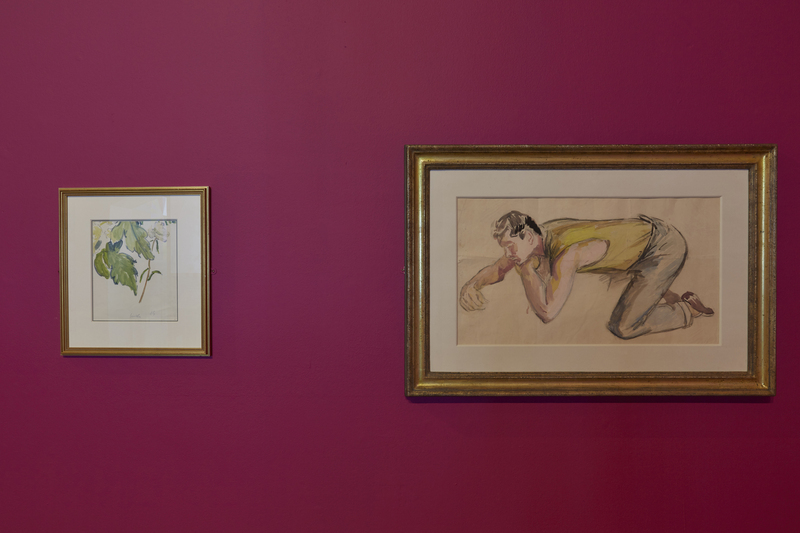 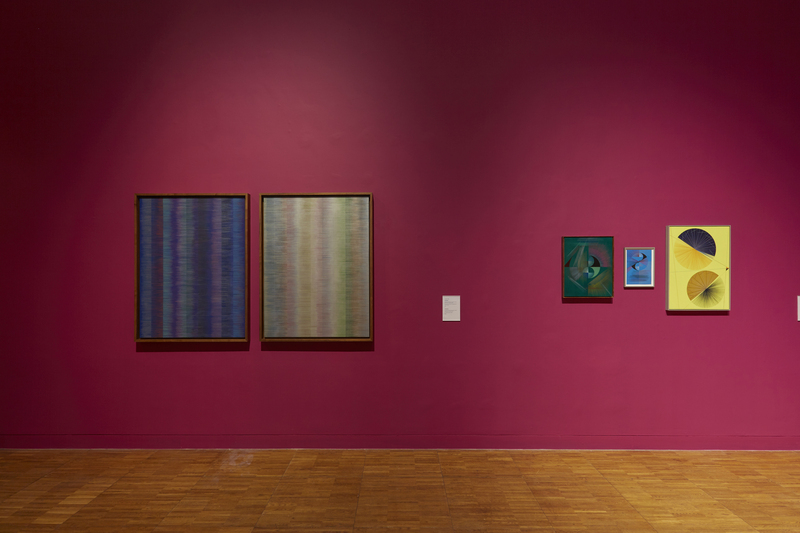 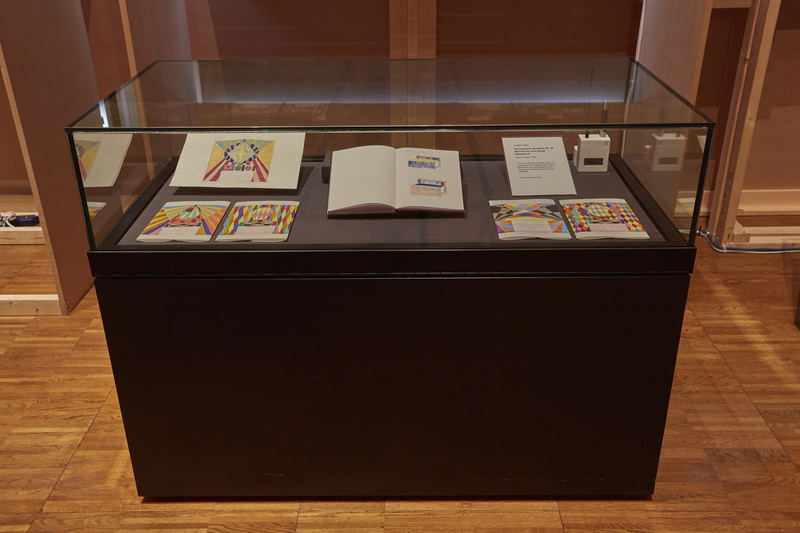 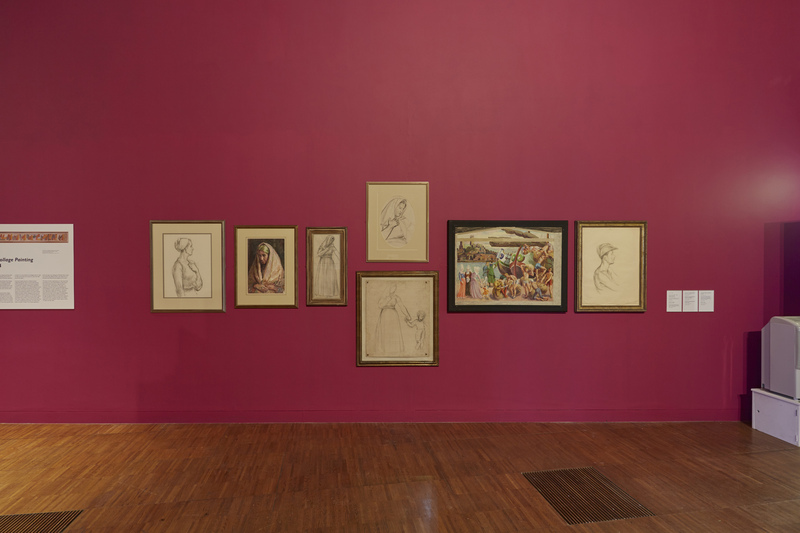 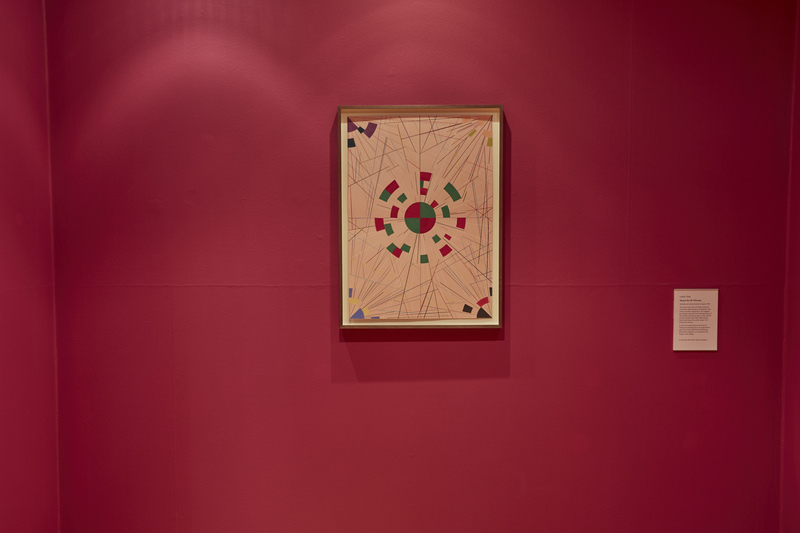 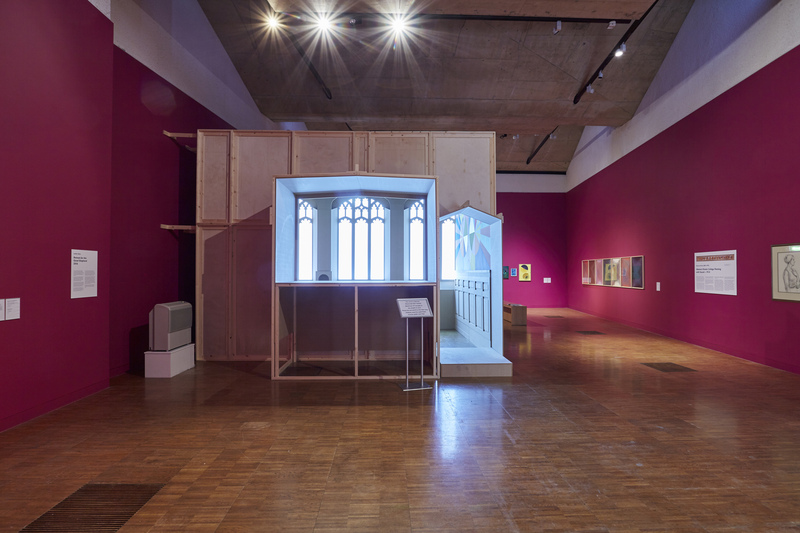 The exhibition included a number of Duncan Grant's preparatory studies for his murals and examples of other artworks produced for sacred spaces from Lothar Götz, alongside highlights from the Methodist Art Collection. 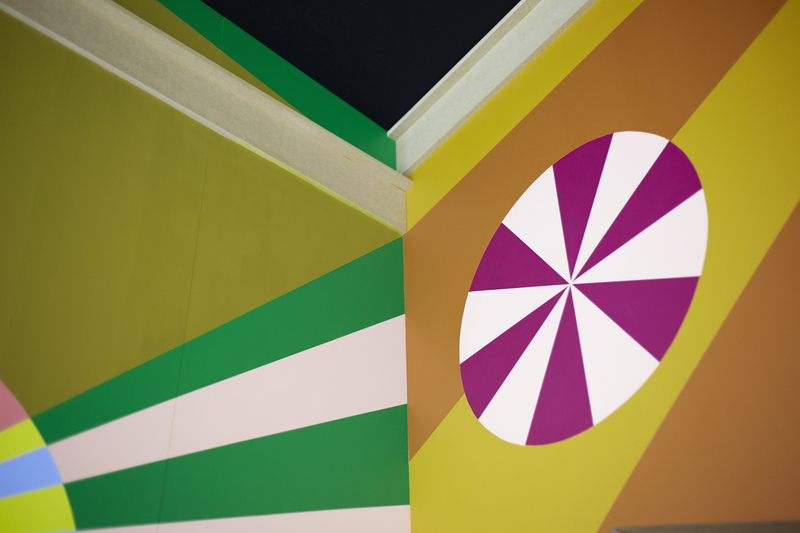 As part of this project we commissioned a new work for the soundwall by artist David McSherry which can be heard here; https://soundcloud.com/mandrill1/geom-stereo-mix Photos taken by David Rowan.